If you ask me how many variants of Unixes are there, then my obvious answer would be quite a few. Some of them being IRIX, IBM AIX, Sun Solaris, HP-UX, Sco Unix and of course the BSD variants - FreeBSD, NetBSD and OpenBSD. But over the years, a relatively recent upstart called Linux has been successful in stealing the thunder from all the above Unix variants. Mainly because Unix has a history of being newbie unfriendly. It also helped that the GNU movement caught on the public's fancy and Linux being released under GPL made it unbeatable vis-a-vis the price. One of the most talked about drawback of Unix is that it is very hard to install by a relative neophyte. But recently interest has been generated in making at least some of the Unix variants more user friendly and many projects have come up which aim to create a better experience for the end user both in installing and using them. One such project is PC-BSD. 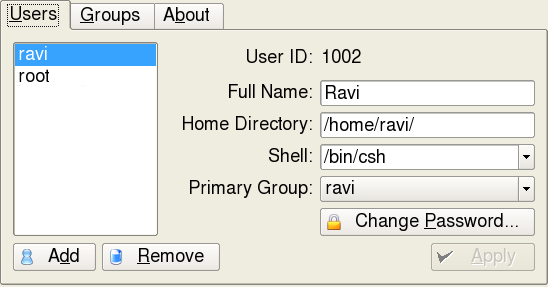 As the name indicates, it is a BSD variant and is based on FreeBSD. The aim of the developers of PC-BSD is to make it more user friendly and fit for the desktop. Where as FreeBSD is first and foremost a server operating system, PC-BSD is packaged to bring the legendary stability and security of FreeBSD to the desktop. Recently, I downloaded the PC-BSD image from their website with an intention of trying out this Unix distribution. I booted my machine using the PC-BSD installation CD. And within a short time I was presented with a very beautiful and clean GUI installer. 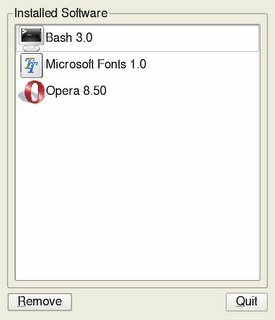 Actually, I found out that the PC-BSD developers have trodden the same path embraced by the Linux Live CD creators in that it first automatically detects and configures the interfaces and then puts the user in a fully usable desktop in this case the developers have used fluxbox (or is it blackbox?). And immediately after that, the graphical installer is started and the user is led through the installation process which, sans the partitioning, keyboard, locale and time configuration is really just copying all the files into the partition of ones choice. At the end of installation, I was placed into a fully configured KDE desktop system. If you have read my past article named Effective partitioning - The how and why of it, you will find that I already had a primary partition which housed the FreeBSD OS. So I was not faced with the prospects of creating a separate partition and chose to install PC-BSD in this partition. 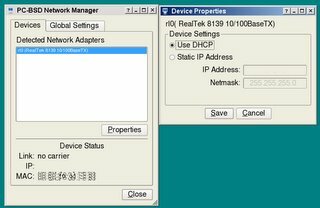 I installed the OS on a Pentium IV 2.0 Ghz machine with 256 MB RAM and having on board sound and all the hardware interfaces were detected automatically by the installer. PC-BSD comes with the latest version of KDE - ver 3.5. Underneath, it is the same FreeBSD operating system. But what makes PC-BSD stand out is the effort that has been put to make it user friendly. For one, the hard working developers have provided GUI widgets to accomplish almost all common system administration tasks like user creation, network configuration and installing and uninstalling programs. 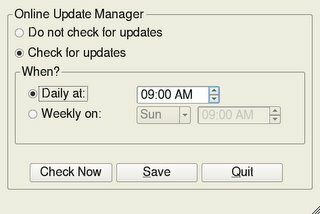 Fig: Update manager checks for updates. Secondly, for installing and uninstalling software, PC-BSD has developed its own method which is similar to that found in Windows. That is, the software is packaged as a monolithic .pbi (pcbsd installer) file which has to be downloaded from their repository site. Once the .pbi file is downloaded, just double clicking on the file will open a GUI and guide the user through the installation process. Similarly, uninstalling is also a simple affair. A very easy to use GUI enabled installation process unlike the text installer found in FreeBSD. Is geared for the desktop user but with all the power, stability and security of FreeBSD. BTW, FreeBSD was around when Linux was not even born, which should give you a fair idea about this OS. Installing and uninstalling software is a point - and - click affair and will gladden the hearts of neophytes and Windows users alike. 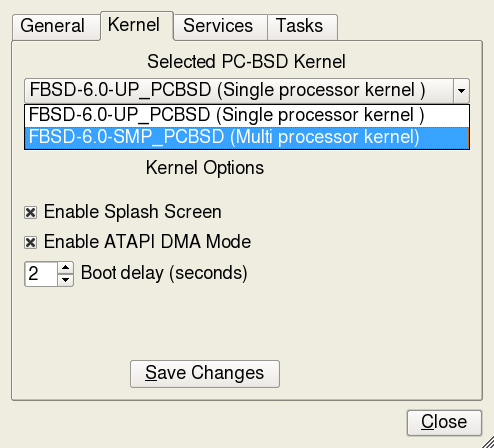 Bundles two FreeBSD kernels - a single processor kernel and a SMP enabled kernel. 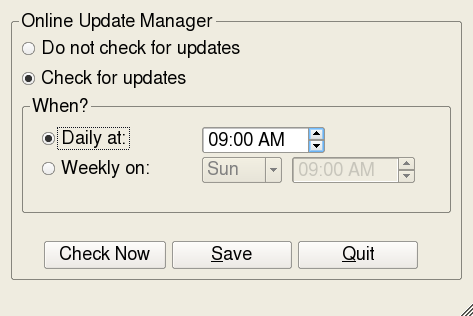 And the user can easily switch between the two (See system configuration dialog figure above). One drawback I found was the limited amount of software available on their site. But I consider that as a temporary phenomenon and is bound to change in the future as they continuously add more software. The GUI even though very clean and intutive at the present stage is not without its quirks. For example, I installed bash shell by the point and click method. But when I tried to change my default shell to bash from the User Manager widget (see figure above), the bash shell was not available for selection in the drop down box. And I had to do it the command line way. But I am sure such minor matters would be sorted out as more and more people try out PC-BSD. Also some people talk about the obvious blot in installing software using PC-BSD click and install method because there is some duplication of the common libraries used by the various software. But seriously, for a person who has dedicated his full 80 GB hard disk or even half or quarter of that space for running PC-BSD, it is not a serious issue. All in all, PC-BSD is an OS which has a bright future in the Desktop market provided the developers provide more variety of software or at least equivalent to those found in the FreeBSD ports. This thing is GREAT! Install and fall in love! It's BSD but the PBI (Package) System makes it really easy to use even for beginners. Its really great thats all I can say.... and i tryed alot of systems! I dont want to start another flame war so read carefully: FOR ME its a really good system because i can download 1 package (maybe somewhere else because I'm on 56k) and install it without any problems. The PBI system bloats the package but it erases the dependency problem i got elsewhere... FOR ME its great!!! 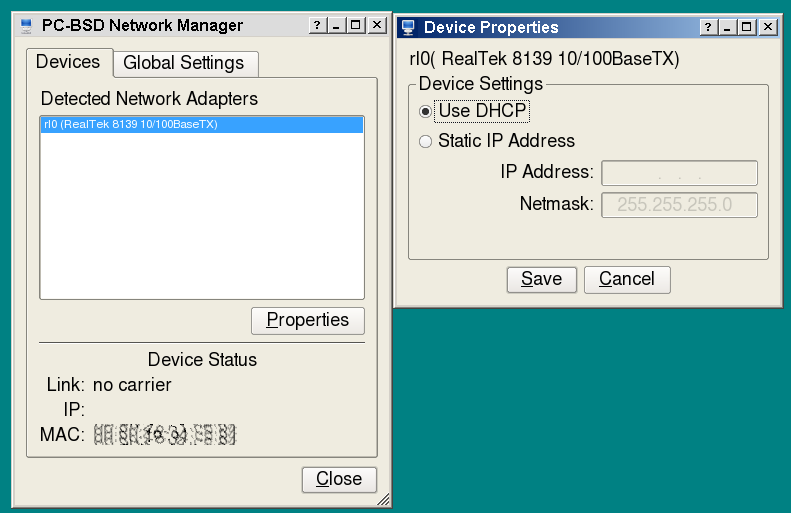 PS: You can use the ports system in parallel to the PBI packages! And the look of KDE is cool out of the box, again FOR ME! While PC-BSD might perhaps be abit easier and more refined, DesktopBSD is, as far as I know, FreeBSD compatible, so one can just use the FreeBSD tools and software without a problem. One thing keeping me back from PC-BSD is the duplicated lib problem you mentioned for PBI's. It isn't really the wasted disk space, but the wasted RAM that's the problem. If they pointed to the same file, there would only be one copy of it in memory for all of the programs linked to it to use. But since they don't, you now have duplicates taking up precious memory for no reason. does it still have the same kernel as 5.4? is it the same to recompile? Ravi, thanks for illuminating us on BSD. 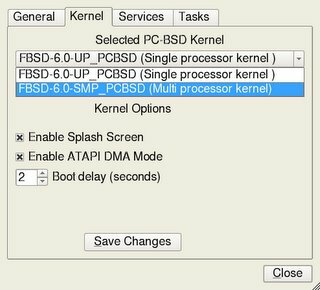 While this has been around for a while, is there any pressing reason for a Linux user to shift to BSD? Frankly, I love to snoot my nose to Windows users; given the exceptional hassles they face. Linux has given me absolutely trouble free performance if I dont screw around with what I dont know! I believe that you can do a follow up post on reasons to shift towards BSD. Plus, any LIVE CD's that are worth trying in your opinion. Since, you have made a reputation for giving unbiased information to all. I keep coming back to this site because there is so much to learn. Keep up the great work! So it is not as if I have discarded Linux. Linux is still my primary OS of choice. Your Claim: "FreeBSD was around when Linux was not even born, which should give you a fair idea about this OS." FreeBSD was around long before Linux but it had a different name and the committee which now governs it hadn't been formed. You could argue about what makes FreeBSD what it is and therefore when it came into existence but if you go with the core coding that it's kernel and filesystem are based on then you'll definitely say it predates Linux. Ive used PC-BSD, FreeBSD, OpenBSD and DragonflyBSD so far. "Truth: Linux was around long before FreeBSD, BSD has roots going back before Linux, but Linux was around for atleast a year before FreeBSD was officially released." First release of FreeBSD 1.0 - Dec 1993, first release of 386BSD(kinda parent of FreeBSD) or even going back .. Linux was just in thoughts when they apeared. Technically, FreeBSD was going to be called 386BSD 0.5; then some people working on the interim 386BSD release had a fight with Lynn Jolitz, and her husband Bill withdrew permission for the use of the name 386BSD. Rather than throw away the work, it was renamed FreeBSD and released anyway. As a side note, it was initially going to be 0.1, but Walnut Creek CDROM, which had fronted some of the original machines, network connectivity, and planned to distribute CDROMs, thought a 1.0 version would sell better. 386BSD 0.0 was released in October of 1989, beating Linux by about 2 years. I know this for a fact, since posted the first patch to Usenet (a VM fix for machines with option base 0 for the amount of base memory for AT&T WGS and HP Vectra machines), and wrote the original FAQ, and later the original patchkit.